2012 Notary news. Passed bill affect Notary Laws. 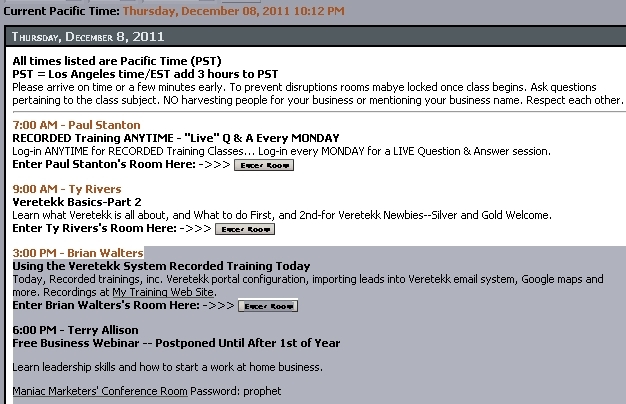 At California Mobile Notary Network we always try to be up-to-date with news that affect our industry. (b) protests can only be done by notaries work for and acting for a financial institution. Chapter 269 (AB 75 Hill) Notary Public, summarizes restrictions on the subscribing witness and Protests, as well as adds additional rights to the Secretary of State. The bill was approved by the governor last September 7, 2011: BILL NUMBER: AB 75 CHAPTERED BILL TEXT CHAPTER 269 FILED WITH SECRETARY OF STATE SEPTEMBER 7, 2011 APPROVED BY GOVERNOR SEPTEMBER 7, 2011 PASSED THE SENATE AUGUST 18, 2011 PASSED THE ASSEMBLY AUGUST 22, 2011 AMENDED IN SENATE JUNE 10, 2011 INTRODUCED BY Assembly Member Hill DECEMBER 22, 2010 An act to amend Sections 17533.6 and 17537.9 of the Business and Professions Code, to amend Section 1195 of the Civil Code, to amend Section 3505 of the Commercial Code, and to amend Sections 8205, 8208, 8211, and 27287 of, and to add Section 12181 to, the Government Code, relating to documents. LEGISLATIVE COUNSEL'S DIGEST AB 75, Hill. Documents: notaries public: solicitations. (1) Existing law makes it unlawful for a nongovernmental entity to solicit funds or information by means of a mailing, electronic message, or Internet Web site that contains a seal, insignia, trade, or brand name, or any other term or symbol that reasonably could be interpreted or construed as implying any state or local government connection, approval, or endorsement, unless the nongovernmental entity has an expressed connection with a state or local entity or unless the solicitation contains specified disclosures in conspicuous and legible type. Existing law requires a business to include the contact information for a referenced governmental agency in an unsolicited mailing that offers to assist the recipient in dealing with the governmental agency. A violation of these or other provisions related to advertising is a misdemeanor, punishable by imprisonment in the county jail not exceeding 6 months, a fine not exceeding $1,000, or both. This bill would additionally make it unlawful for a nongovernmental entity to solicit funds or information by means of a mailing, electronic message, or Internet Web site that contains an emblem or content that reasonably could be interpreted or construed as implying any federal, state, or local government connection, approval, or endorsement, unless the nongovernmental entity has an expressed connection with a federal, state, or local government entity or unless the solicitation contains specified disclosures and meets other requirements. The bill would require the disclosures to be conspicuously displayed in specified locations, font type size, and manner. The bill would increase the maximum criminal fine for a violation of these provisions to $2,500 and would authorize a person to recover specified damages resulting from a violation of these provisions. The bill would delete the provisions requiring a business to include the contact information for a referenced governmental agency in an unsolicited mailing that offers to assist the recipient in dealing with the governmental agency. Existing law makes it unlawful for a person to make any untrue or misleading statements in any manner in connection with the offering or performance of an assessment reduction filing service. Existing law provides that an untrue or misleading statement includes representing that an offeror of an assessment reduction filing service is, or is affiliated with, any governmental entity by, among other things, the use of a business name including the word "appeal" or "tax" and any of a list of terms, including "agency," "bureau," or "department." Existing law makes it unlawful to offer to perform an assessment reduction filing service without making a disclosure placed at the top of each page of every advertisement or promotional material disseminated by an offeror of an assessment reduction filing service in 12-point boldface type enclosed in a box formed by a heavy line. This bill would provide that it is also an untrue or misleading statement in connection with the offering or performance of an assessment reduction filing service if the words "board" or "commission" are used with the word "appeal" or "tax" in the business name of an assessment reduction filing service. The bill would also make changes to the font size requirements that apply to the disclosure of every advertisement or promotional material disseminated by an offeror of an assessment reduction filing service. Because a violation of these provisions would be a crime, this bill would impose a state-mandated local program. (2) Existing law authorizes proof of the execution of an instrument by certain persons and prescribes the form for that proof. Existing law prohibits a proof of the execution of any of several types of specified instruments, including a grant deed, mortgage, deed of trust, quitclaim deed, or security agreement. This bill would add a power of attorney to the types of instruments for which a proof of the execution is prohibited and would further prohibit a proof of the execution for any instrument requiring a notary public to obtain a thumbprint from the party signing the document in the notary public's journal. The bill would also revise the form of certificate that may be used for proof of execution. (3) Existing law prescribes the duties of a notary public, including the duty to demand acceptance and payment of foreign and inland bills of exchange, or promissory notes, to protest them for nonacceptance or nonpayment, and to exercise any other powers and duties that by the law of nations and according to commercial usages, or by the laws of any other state, government, or country, may be performed by notaries. Existing law provides that a protest is a certificate of dishonor of a negotiable instrument made by, among others, a notary public. 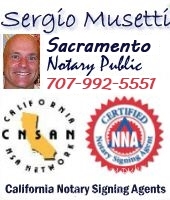 Existing law provides that the protest of a notary public of a bill of exchange or promissory note for nonacceptance or nonpayment is prima facie evidence of the facts recited therein.